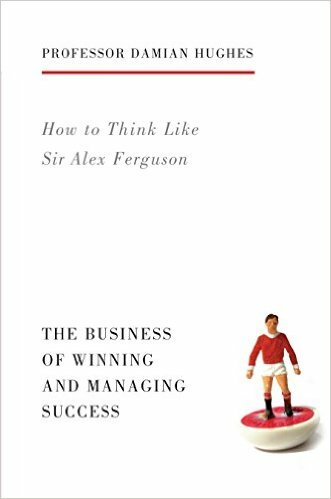 Grant Leboff: Damian, one of the things you talk about in the book, is Sir Alex’s ability to not just see what’s in front of him, but look beyond that. You give a great example in the European cup final against Bayern Munich. Can you tell us a little bit more about that? 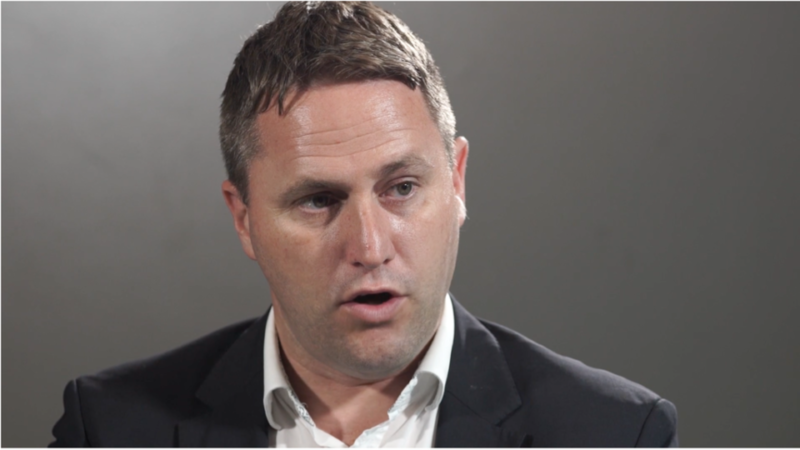 Damian Hughes: Well that was a game that almost crystallises everything that Ferguson was about. He had taken his 1999 team to an unprecedented double that won the league. They had won the FA Cup and then they were coming up to winning the unprecedented treble, that had never been done by a British team before. They started the game dreadfully against Bayern Munich and they never seemed to get out of their first or second gear. They conceded a goal very early on and showed no signs of getting back into the game. When they came back into the dressing room Ferguson, effectively, had three choices. He could have used his famous ‘hairdryer’ where he was shouting at the players, he could have come up with a tactical solution, or he could have used the third option which is what you are describing. His ability to create a state of cognitive dissonance. What we mean by that is that the brain can hold two conflicting ideas any one time, but it can only really focus on one of them, and this is precisely what Ferguson did. He asked the players to sit down and, very calmly, he asked them that when they walked back out, to take a moment to have a look at the European cup that they were going to walk past. And he wanted them to think about how agonising that would feel to walk past that trophy and never be able to touch it – because it’s a tradition that only winners of the trophy can ever hold it. And he asked them to think about how they would feel in 10, 15, 20 years time knowing that they had come that close to the greatest prize in club competition, and yet were never be able to put their hands on the trophy. Now when I was doing the research for the book, at least eight members of the squad who were in the dressing room at that moment in time, all recount that story with pretty unerring accuracy which indicates the impact which his words had, and they spoke about – that even in those last few minutes, it was that thought of not being able to touch that trophy that was driving them on, on that relentless quest to get both the equaliser and then Ole Gunnar Solskjær’s famous injury time winning goal. Grant Leboff: And the thing about Ferguson is that ability to always look further. You talk in the book about how he way that he planned, and he didn’t plan in the conventional sense of just looking to next week or a few months time did he? Tell us a little bit more about how he planned out. Damian Hughes: Well again, I think that distinguishes him from a lot of other managers because a lot of managers become very reactive. Ferguson was responsive and the reason he did that was because he didn’t view things in, like, season long cycles. He viewed everything over a four year cycle. So this is often what is behind some of his more contentious decisions to let players go before we, as the general public, thought that there was a reason behind it, for example, the David Beckham example. Ferguson would always be looking four years ahead because he viewed every team as having a cycle for that. So he would often make decisions after two years that he felt would serve the club and the culture in four years time. Grant Leboff: So when you look at business, I think everybody is so reactive and short-term, I suppose what we learn from Sir Alex is the fact that you have to look way beyond that. Then you are making decisions that become much more strategic. Do you see value in that? Damian Hughes Yes very much so. If all you are driven by his profit, your immediate instincts if you’re not going to hit the targets is; headcount reduction or how do we slash costs? Ferguson would always view it as, over a four-year cycle, are we still going to be successful in four years time, not in four months time. And I think yes – absolutely – there are some huge lessons that anybody in business can learn from that principle. Grant Leboff: There is an irony isn’t it, that by not being short-term he actually ended up the longest serving manager around, when so many managers get fired, their short-term because of that pressure. Damian Hughes: Well the fact that really fascinates me is that the average tenure of a job as a football manager is just 16 months before you are dismissed. Now the frightening consequence of that is that 55% of those managers, who are dismissed, never work again. So if you look at that in an industry where the failure rate is high, patience rate is low but consequences are huge, what was it that Ferguson did? And I think that what you’ve touched on there Grant, is that the ability to see long-term is something that does distinguish those who tend to be successful.